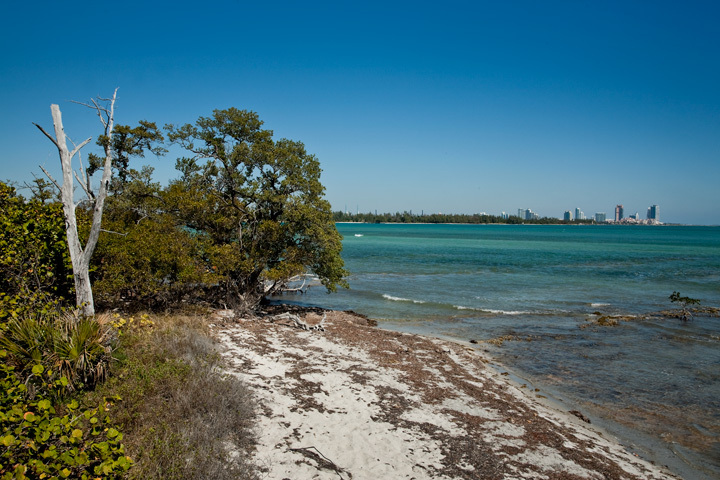 In exchange for the construction of the Rickenbacker Causeway from Miami to Key Biscayne, the Matheson family, in 1940, deeded to Dade County 975 acres of their massive coconut plantation on the northern tip of the island to be used as a park. William Lyman Phillips designed the causeway and park, both of which opened in 1947. 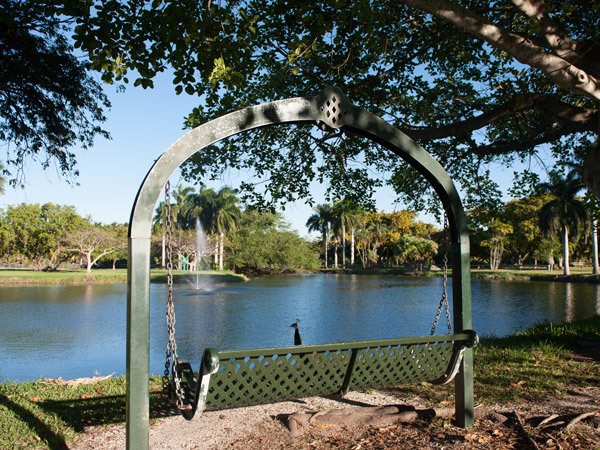 Phillips organized the park into east and west sections separated by the coconut palm-lined Crandon Boulevard. To accommodate the large number of vehicles, he designed two rectangular parking areas for more than 3,400 cars straddling a wide, east-west oriented pedestrian promenade lined with palm allées. 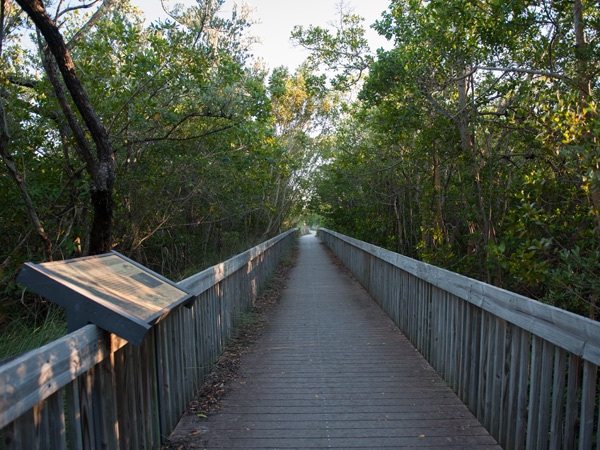 The promenade transitions to arcing paths that access two miles of white sand beaches dotted with palms, cabanas, and picnic shelters on the eastern side of Key Biscayne. Phillips incorporated local coral rock, botanical specimens, and a dredged lake into his design for a 48-acre zoo, open from 1948 to 1980. In the 1950s, a carousel, narrow-gauge train, and roller-skating rink were added. 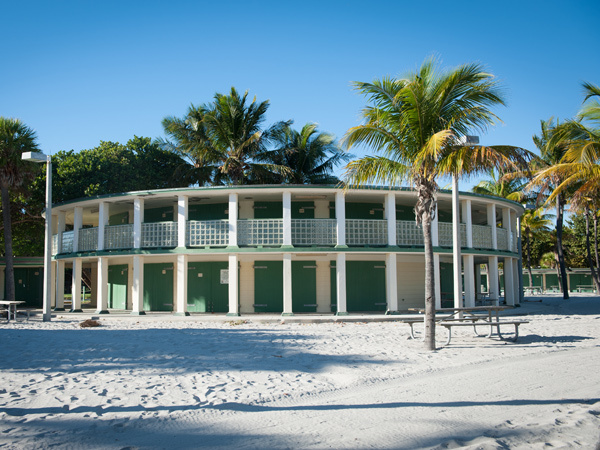 In 1972, Robert von Hagge and Bruce Devlin designed an 18-hole golf course on the western side of Crandon Boulevard and in 1991, the expansive 13,300-seat Crandon Park Tennis Center was introduced. In 1992, Hurricane Andrew caused extensive damage to the park. 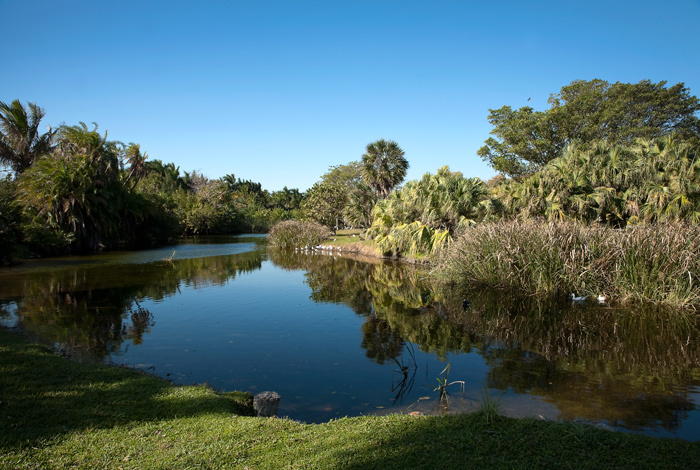 A year later, Artemas Richardson of Olmsted Associates developed a master plan that employed vegetation to screen the Tennis Center from the park, transformed the abandoned zoo into a botanical garden, and opened views from Crandon Boulevard to the sea. 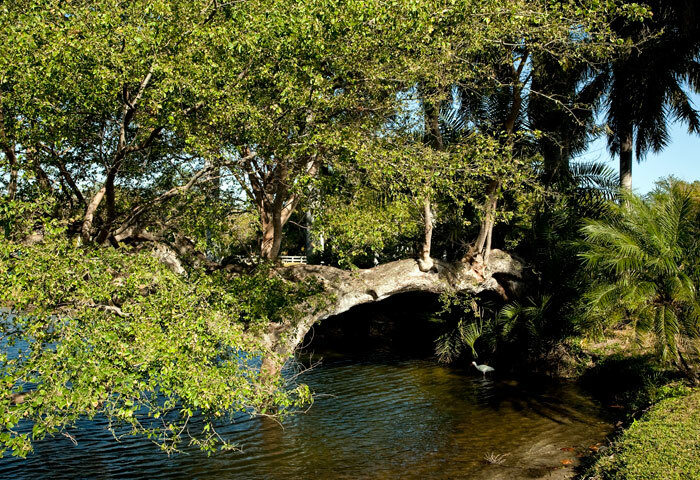 Crandon Park protects three archaeological deposits and 450 acres of ecological preserves.